One year ago today, we launched Vendor Surf as the only B2B search engine, revolutionizing the sourcing of vendor partners – heavy emphasis on 'partners.' No matter the vendor size or type of vendor solution, the single most prevalent characteristic they bring is PASSION. There is no substitute for it. What an incredible treat to engage every day with our client's leaders, feeding off their knowledge, experience and relentless drive to innovate. Translation... I did not know what I did not know! At the bank, I was charged with knowing all the great vendor options out there and making informed and wise decisions. Well, I can admit to making decisions, but I see that I stumbled in general. 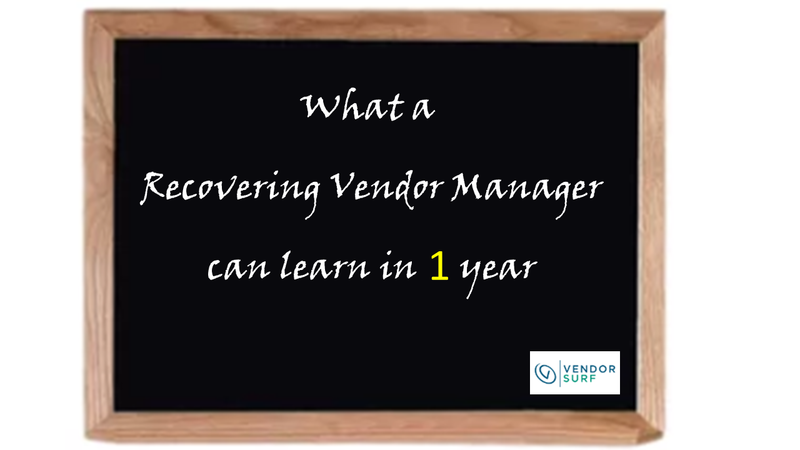 (NOTE: I had some stellar vendor partners, and we delivered incredible results. However, it does not erase the fact I was completely unaware of the vast universe of service provider options across the industry, and the quality therein). No IT support, as they were consumed with Regulatory & Compliance efforts (e.g. Dodd-Frank, etc. ); I could not integrate a new vendor anyway, so why search? I knew of no tools like Vendor Surf. For those of you that have already partnered with Vendor Surf, we are very grateful. We share your mission in increased visibility and revenue opportunities. For those of you considering us, let us know what's holding you back. Come see what it really means to 'partner." Thanks for reading. We appreciate it.